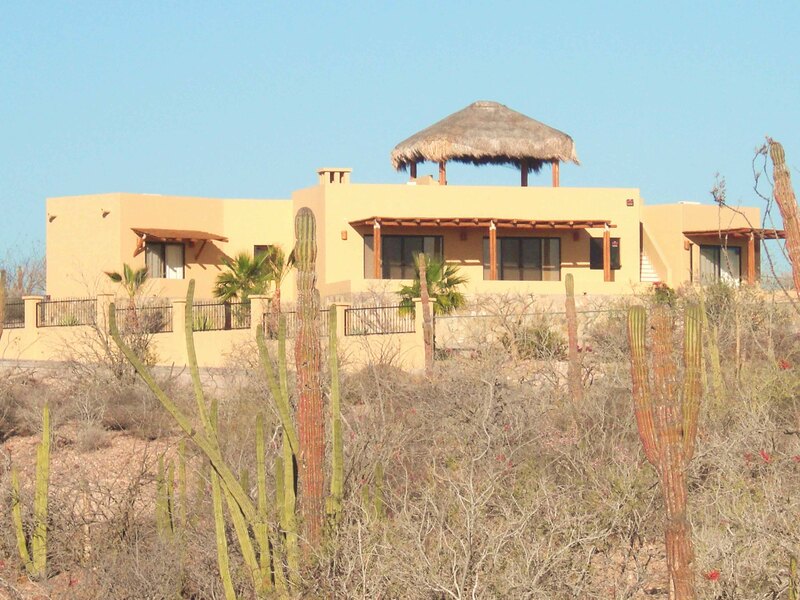 The excellent views of the Bay of La Paz are undoubtedly one of the primary reasons for buying and building in El Centenario. 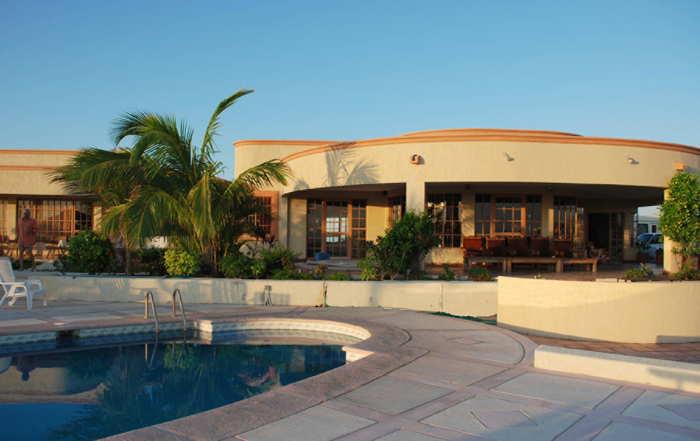 An on-site inspection will confirm that we offer some of the best views, if not the best views, in all of El Centenario. Consequently, our design approach begins with floor plan development, placing particular emphasis on the arrangement of living, dining, and master bedroom placement so as to maximize view corridors for the most important living areas of the home. Our objective is to offer maximum flexibility to our owners. 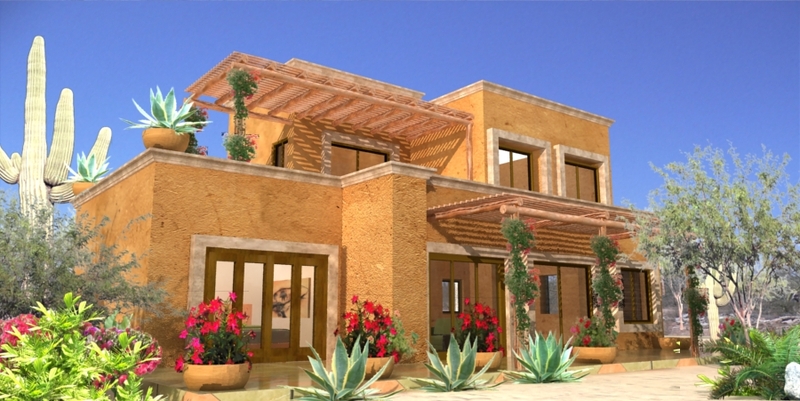 You may custom design your own home with the assistance of your architect or ours. Alternative architectural styles and their variations such as Mediterranean and contemporary are equally appropriate for the area depending upon your personal preference. Area: Interior 1,587 sq. ft. — Exterior 877 sq. ft. — Total 2,464 sq. ft. Custom design options and amenities are available on all models to better reflect your preferences today and can be expended at any time to meet your future living requirements. Additional bedrooms, den, office, separate dining, exercise, linen, etc. can be incorporated into any of these plans, as well as the overall size requirements for any room. We have also designed a small 300 sq. 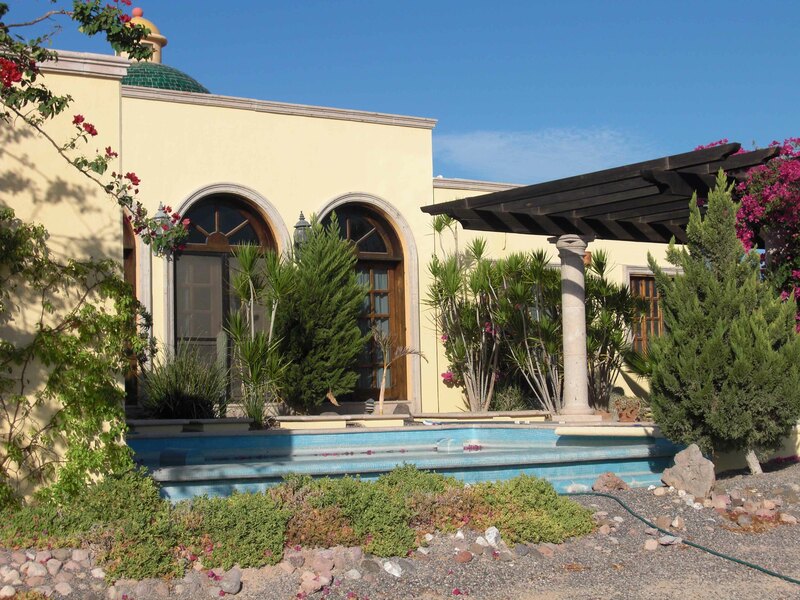 ft. detached casita unit that can be added as an additional bedroom or guest unit. The accompanying photos reflect general price ranges of home prices only and do not reflect lot prices that range from $28,000 to $68,000, depending on size, location and view. Area: Interior 1,752 sq. ft. — Exterior 896 sq. ft. — Total 2,648 sq. ft.
Area: Interior 1,965 sq. ft. — Exterior 1,345 sq. ft. — Total 3,310 sq. ft.